Kath Logan is passionate about helping people make agreements that work. She is an Attorney General accredited Family Dispute Resolution Practitioner, a nationally accredited mediator and have two Masters degrees in dispute resolution. 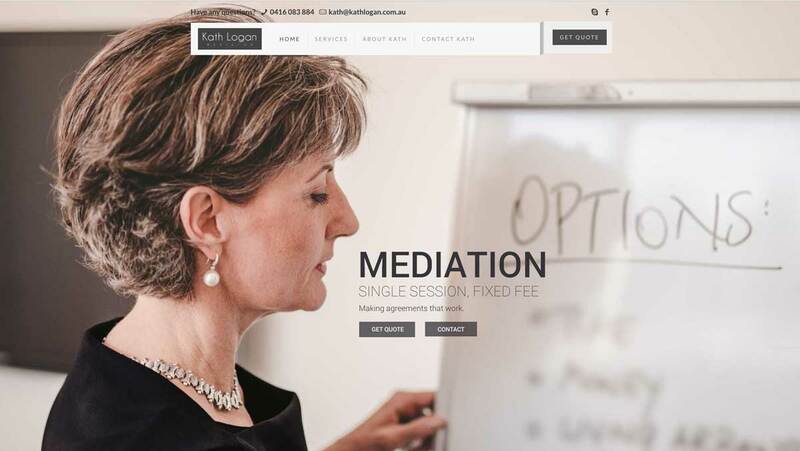 Kath Logan approached us to create a professional website for her Mediation business. Kath Logan is situated in the thriving Central West of New South Wales. Get in touch with Social Web Works today and find out what a huge difference we can make to your online and marketing success.